Today we enter the holy of holies of the Beatitudes. Everything so far has been preparation. 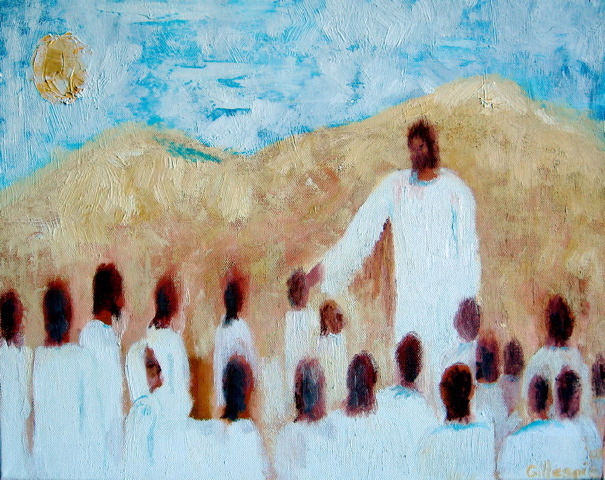 Poor in spirit, meek, mourners, hungry and thirsty for justice – qualities that describe the disciple who follows Christ. “But I will show you a still more excellent way,” Paul tells us today (1 Corinthians 12:31). That more excellent way is LOVE. “Love is patient and kind; love is not jealous or boastful; it is not arrogant or rude. Love does not insist on its own way; it is not irritable or resentful; it does not rejoice at wrong but rejoices in the right. Love bears all things, believes all things, hopes all things, endures all things. Love never ends” (1 Corinthians 13:4-8). “God is love,” (1 John 4:8). God is merciful throughout the Old and the New Testaments. 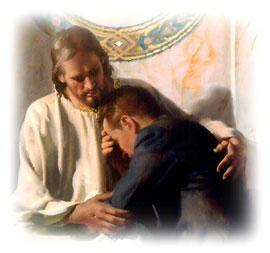 So, Jesus tells us, “Be merciful as your Father is merciful” (Luke 6:36). He also said, “Be perfect as your father in heaven is perfect” (Matthew 5:48). So clearly, perfection is to be merciful like God. This is the love that Paul describes. There is no love more patient than the love of God. There is no love that rejoices more in the good than God’s love. And so on. And finally, Love never ends. That is God’s love; it never ends. And that is the love that should be in us. Blessed are the merciful…. To be merciful is to be like God. In Orthodox theology we talk about deification. Monks spend a lifetime practicing austerity, prayer and self-denial in order to attain this thing we call deification (theosis). Some men and women monks have indeed attained extraordinary heights of holiness; have indeed been deified. But Jesus was not speaking to monks! Be merciful / Be perfect – as your Father in heaven is merciful / perfect. 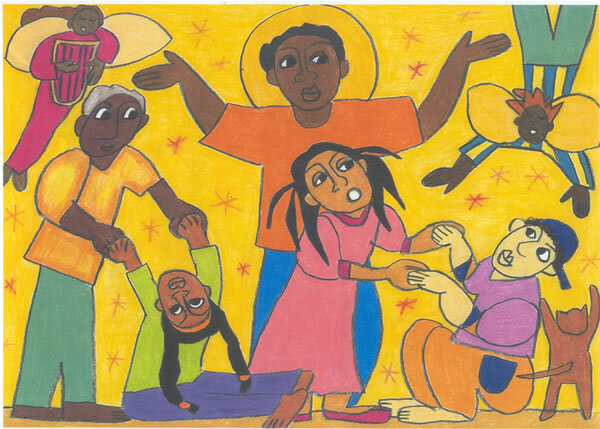 We can all be merciful – so we can all be like God. You don’t have to lock yourself in a monastery or be a hermit. Be merciful. Be loving. Mercy springs from love. Those who are poor in spirit and meek; those who mourn for their own sins and for the sins of the world; those who are hungry and thirsty for justice – these are the people most prepared to be merciful. To be like God! Don’t you see now what these Beatitudes are all about? Only God exists in beatitude, in total blessedness. 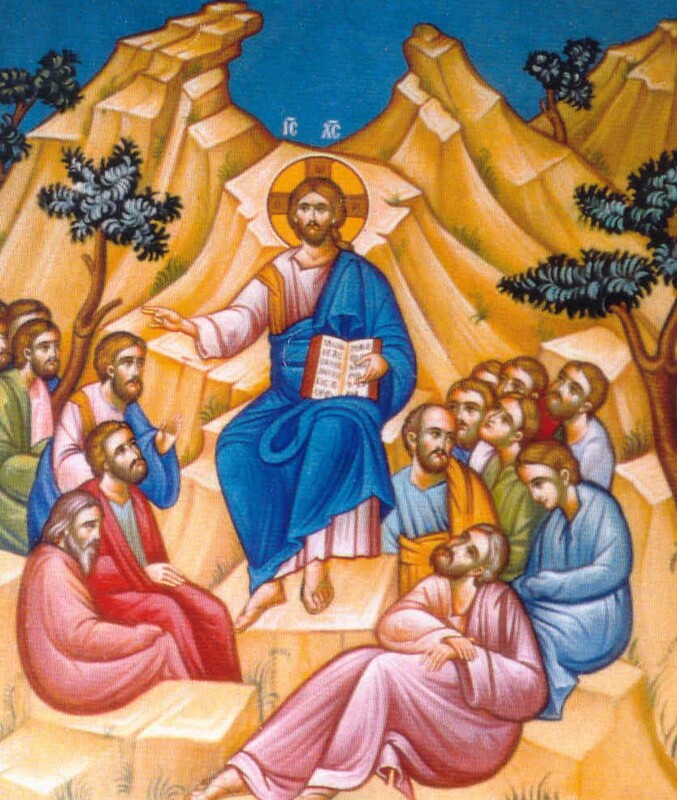 The Beatitudes bestow on us the blessedness that belongs to God. Blessed are the merciful, for they shall receive mercy. Receive mercy from whom? From God? From each other? This is the only beatitude that expresses mutuality. A relationship. It comes from the Hebrew. Many words in Greek and in Hebrew to express the quality of mercy. For example, in Hebrew: raḥamîm – semitic root going back to ancient Akkadian to signify compassion, womb. But the most important Hebrew word for “mercy” is ḥesed. It conveys the sense of a mutual relationship; faithfulness and loyalty. No one understood this mutual understanding of “mercy” better than Jesus, so here in the middle of the Beatitudes, he pronounced the only beatitude which expressed perfect mutuality. It is the heart of the gospel of Jesus Christ. I wonder if God gets tired of all our Kyrie Eleisons. Are we missing the first half of this Beatitude? The “merciful” part? Are we merciful, or do we only ask for mercy from God? Are we merciful so we can also receive mercy from one another? The Beatitudes are not only about God blessing us. They are about the life of God’s kingdom here, where we most need to be merciful to one another. That is the gospel of Jesus Christ. Categories: Sermons | Tags: Christian perfection, Deification, Fifth Beatitude, hesed, Mercy | Permalink. What do you desire? What do you long for? Wealth? Recognition? A happy marriage? Successful children? These are all good, and rightly do you desire these things. But today’s Beatitude calls blessed those who desire something that is not solely for their own benefit. The beatitude asks us to look beyond our own desires and hunger and thirst for something that goes beyond us. This something is δικαιοσύνη, justice/righteousness. Both translations are good. But righteousness does strike a more personal note; whereas justice seems to be a more universal concern. What is justice? 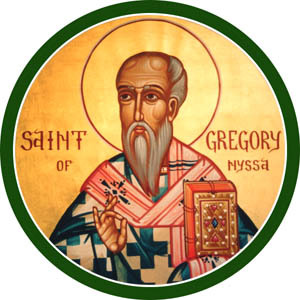 St. Gregory of Nyssa asks when he comes to this part of the Beatitudes. He decides to explain it, “for only when its beauty has been shown can the desire for this lovely thing be roused in us.” Gregory starts with the everyday meaning of fairness in human dealings, law and government, but then spends several pages dancing around the question that he himself posed and actually spends most of his effort talking about hunger and thirst. And this is right, because Jesus uses language we can relate to. When you’re hungry and thirsty…. If we would venture on a bolder interpretation, it seems to me that through the ideas of virtue and justice the Lord proposes himself to the desire of his hearers. 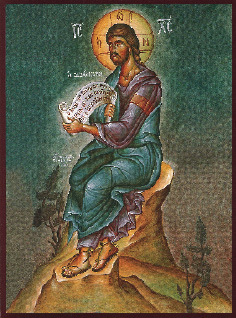 For he became for us wisdom from God, justification, sanctification and redemption (quoting 1 Cor 1:30, ὃς ἐγενήθη σοφία ἡμῖν ἀπὸ θεοῦ, δικαιοσύνη τε καὶ ἁγιασμὸς καὶ ἀπολύτρωσις), but also bread descending from heaven and living water. He quotes psalms of David in their Greek versions: “My soul has thirsted for the living God. When shall I come and appear before the face of God?” and “I will appear before your sight in justice. I shall be satisfied when your glory shall appear.” This glory, Gregory says, is God the Word himself! I like the way he finishes. It’s always a blessed thing to contemplate the centrality of Christ in our thoughts and desires. Indeed, we do hunger and thirst for him who is our justice, our righteousness. But with Jesus we look beyond our own interests and needs. With Jesus as our justice and righteousness we see others as we see ourselves. Couplets, and this is how Gregory of Nyssa paired the first four! Though Gregory does not see a rhetorical device, I do. Poor in spirit. Then those who mourn. Then meek to reassert the poor in spirit. Then the hunger and thirst to reassert the mourning. Those who are poor in spirit and meek will be merciful and pure in heart. Those who mourn will be peacemakers. Those who hunger and thirst for justice will be persecuted because of justice! And to drive message home, Jesus puts himself as the reason for persecution. If you’re going to be attacked or hated, be for the sake of Christ. No better reason! Categories: Sermons | Tags: fourth beatitude, justice, righteousness | Permalink. A wonderful, reassuring promise: those who mourn will be comforted. But what kind of mourning is Jesus talking about? Certainly the mourning that we all experience when we lose someone. But that’s not a uniquely Christian thing. All people mourn! Remember what Jesus said about love: If you love those who love you, what’s the difference? Even bad people love those who love them! (cf. Matthew 5:46) So also with grief. All people mourn their dead, regardless of whether they’re Christian, or Muslim, or Buddhists, or atheists! Yes, blessed are they who mourn for their dead. They shall be comforted. But I believe Jesus means more here. Blessed are those who mourn. But the Greek μακάριοι οἱ πενθοῦντες, ὅτι αὐτοὶ παρακληθήσονται can be translated as”Happy are those who mourn” and even “Lucky are those who mourn.” Blessed sounds religious enough. But happy? Lucky? But God, who comforts the downcast, comforted us by the coming of Titus, and… by the comfort with which he was comforted in you, as he told us of your longing, your mourning, your zeal for me, so that I rejoiced still more. For even if I made you sorry with my letter, I do not regret it (though I did regret it), for I see that that letter grieved you, though only for a while. As it is, I rejoice, not because you were grieved, but because you were grieved into repenting; for you felt a godly grief, so that you suffered no loss. For godly grief produces a repentance that leads to salvation and brings no regret… For see what earnestness this godly grief has produced in you, what eagerness to clear yourselves, what indignation, what alarm, what longing, what zeal…Therefore we are comforted. And besides our own comfort we rejoiced still more at the joy of Titus, because his mind has been set at rest by you all. Paul is talking about grieving for sins. But note that he’s talking about this in a communal context. The grief that Paul caused them through a sharp letter he had written to them, motivated the Corinthian Christians to clear away the sins that existed in their midst. And this brought joy instead – joy to Titus, Paul’s messenger, and thus to Paul and to the Corinthians themselves as they were relieved of the burden that sin had created in their midst. Sorrow over sin is classic teaching throughout the Orthodox tradition. I wrote a 35-page essay on this subject at Seminary. But not only sorrow over one’s own sins. That’s part of it, perhaps the first step. But you don’t stop there. You move on to weep over the sins of others – just as Paul caused the Corinthians to do. You weep for the sins of the world, for the suffering, the victims of war and terrorism and economic and social injustice. You weep today for the destruction of the environment and the horrendous loss of respect for life – all life, not just human. There is little you can do for the sins of the world; they are too big. But you can weep for them. Not just pray – prayers are too easy; rolling off names of people in your prayer list can be mechanical. No, there is deeper prayer needed. Weep! Penthos is the word that the ancient writers and saints of the church used to describe this holy grief. And Saint Antony the Great, whose feast we celebrate today, January 17th, is one of those spiritual fathers of our faith. This penthos is holy. And it is blessed. And happy indeed those who mourn with this holy penthos; and they shall be comforted. 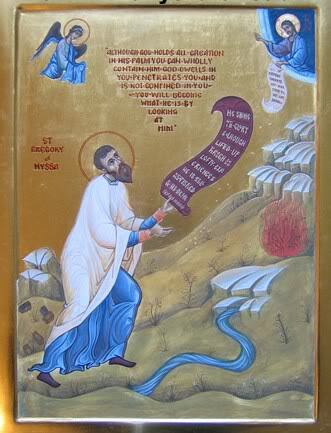 A Coptic icon of Saint Antony the Great. Antony lived in Egypt in the years 251-356 AD. But there’s even more to penthos. In the face of so much evil and sin in the world, it is easy to hate. Penthos teaches us not to hate, not to demonize. It might even teach us to understand why some people do evil things. This broader understanding of grief fits into the message of all the Beatitudes. Poor in spirit, meek, merciful, peacemakers, hunger and thirst for justice and persecuted for justice! Even the pure in heart is about more than personal holiness. Throughout the Beatitudes, Jesus asks us to focus beyond ourselves and to see our place in God’s plan for the world. And look at one more thing. What are the promises: Inherit the earth, receive the kingdom of heaven, the earth, become sons and daughters of God, you shall see God! Powerful images. And all these promises of comfort and the kingdom and mercy and vision…. all are meant to elevate us to desire God and desire the kingdom of God. And it is here that Gregory of Nyssa puts the emphasis in his own commentary on this Beatitude. He calls it blessed when we mourn our absence from God’s presence; when we mourn that we’re not in paradise, not in the kingdom of heaven. This mourning creates holy desire within us – and this is very blessed and very happy indeed. We weep for the losses in our lives; the loss of our loved ones. We weep over our sins. We weep over the sins of the world. We weep with longing for God’s kingdom. This is a blessed sorrow, a happy penthos! Rejoice, for you will be comforted by the God of all comfort. Categories: Sermons | Tags: Beatitudes, godly sorrow, penthos, Second Beatitude, St. Antony the Great, weeping over sins | Permalink.